So this is another post I’ve been meaning to write lately but just got lost track and put it on the backburner. I am a die-hard cook and have been ever since college. I love cooking and I LOVE to eat. This was something I had read a while back and was absolutely so shocked that I had to do some actual research on it because I thought it couldn’t be right. Cooking with extra virgin olive oil (or EVOO according to the chef Rachel Ray) is not healthy for you. Why is that? Well without getting super scientific because I’m not a chemical food specialist, but using the high heat (over 350 degrees) alters the genetic makeup of the oil and making it hazardous to your health. All I can say is Whoops! I used to use this oil all the time. Do I use it now? Absolutely not. At least not for cooking. I still have some fantastic Southern Italian Olive Oil I use for salad dressings or dipping sauces etc. but I definitely don’t use it for cooking. So what should you use as a replacement? Coconut Oil. As you know I am a coconut fanatic and the oil to be honest doesn’t change a dish to taste totally like coconut by any means so don’t fear that myth at all. But take a look at the benefits of coconut oil. Do you see a few of the countless benefits going on with this. I wrote a post before about coconut water and why it’s such a great drink to have around but again here is a list of just some of the reasons why switching up to coconut oil can drastically help your dieting and weight loss. 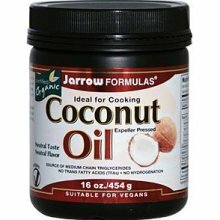 Here’s a great organic coconut oil I recommend as well. And as always I want you to check out some of the best ways for you to get healthy. Coconut oil is high up on the list but again I can never stress enough that overall health is key and to me as a nutritionist that starts with whey protein. I wrote a new article you should check out on natural whey protein powder. Have a look and once again feel free to leave any comments, bookmarks or love. It’s what keeps me doing what I do.